Distance: 5.4 miles / 8.7 km. Ascent: 230 metres Terrain: A mixture of low level field and track walking followed by a moderately steep climb onto the edge of the moor. The return route is a moor path, rough in places, a stream crossing, and then further track and field paths. There are a couple of dog friendly stiles. ​Starting Point and OS Grid reference: The Roundhouse, Burley-in-Wharfedale (SE166464). Introduction: This walk takes you via the edge of Scalebor Park to the hamlet of Stead. 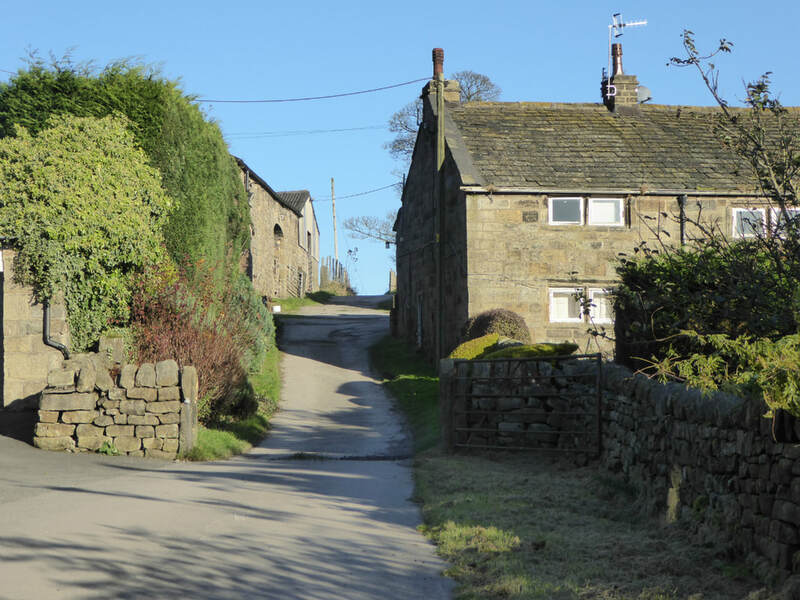 Stead and the nearby hamlet of Burley Woodhead formed an 18C township. Indeed, Stead could have been a Roman outpost on the Adel / Ilkley Roman road. At one time it had a hall or a manor but now only the farmsteads remain. In the 16C, the manor belonged to the Knights of St. John. Stead Hall Farm and Lower Stead Farm are Grade 11 listed. 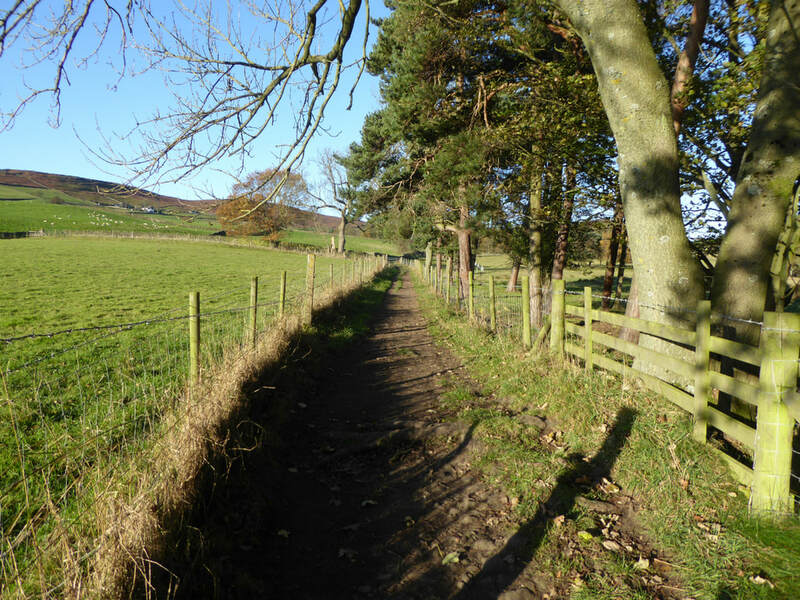 Beyond Stead, the route heads to Burley Moor, passing old quarries, before following the edge of the Moor past Stead Crag, along part of the Ebor Way. Although not easily visible from above, Stead Crag is popular with climbers and has routes with interesting names such as Skyliner and The Lion of Justice. The views across Wharfedale from here are spectacular ranging from Otley, Almscliff Crag and Beamsley Beacon to the distant Yorkshire Dales. The walk then crosses Coldstone Beck. Job Senior, a hermit (from which the nearby pub gets its name) is believed to have lived alongside this beck, where it meets the road. He was famous for his fine singing voice. He died in 1857. The walk then proceeds to the top of Green Lane and makes its way across to the Hermit pub before returning to Burley via Hag Farm Road.